The IceCap K2 120 is a remarkably compact skimmer that offers a new level of refined filtration for marine aquariums ranging from 75 to 120 gallons. All aspects of the skimmer were implemented to surpass many challenges other skimmer on the market miss out on. 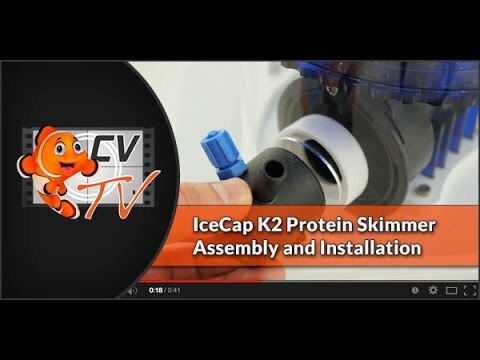 At the Core of the IceCap K2, you will find the always reliable and Italian made Sicce skimmer pump with a proven track record for being highly durable and packing a ton efficient performance.